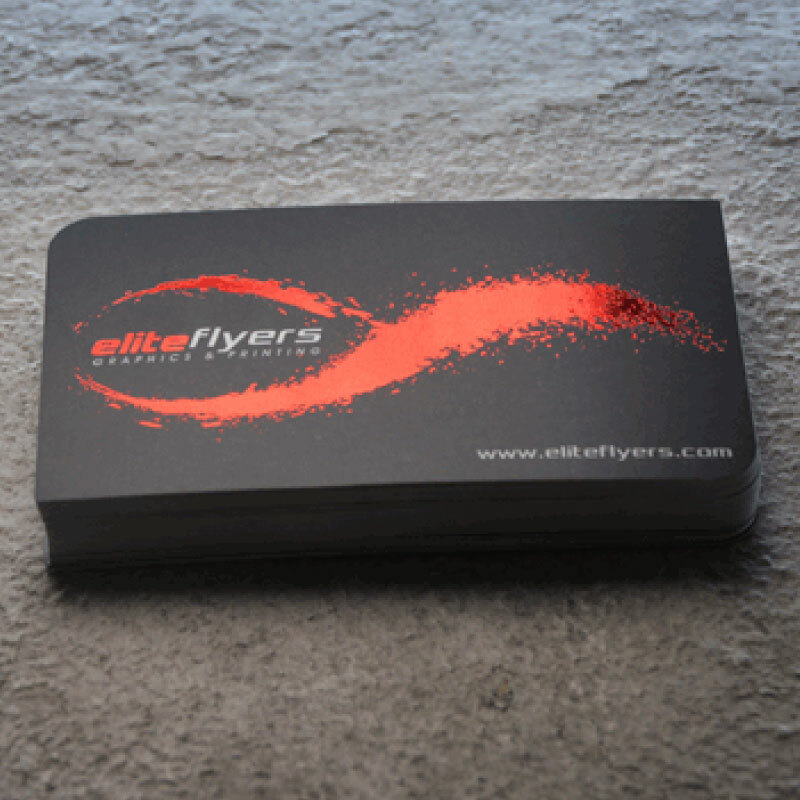 Full colour foil business cards with a huge range of foiling colour options available! Imagine yourself at a an event where everyone is passing around business cards and you know, without a doubt, that your business card will be the flashiest, most commented on and memorable card that anyone has received. 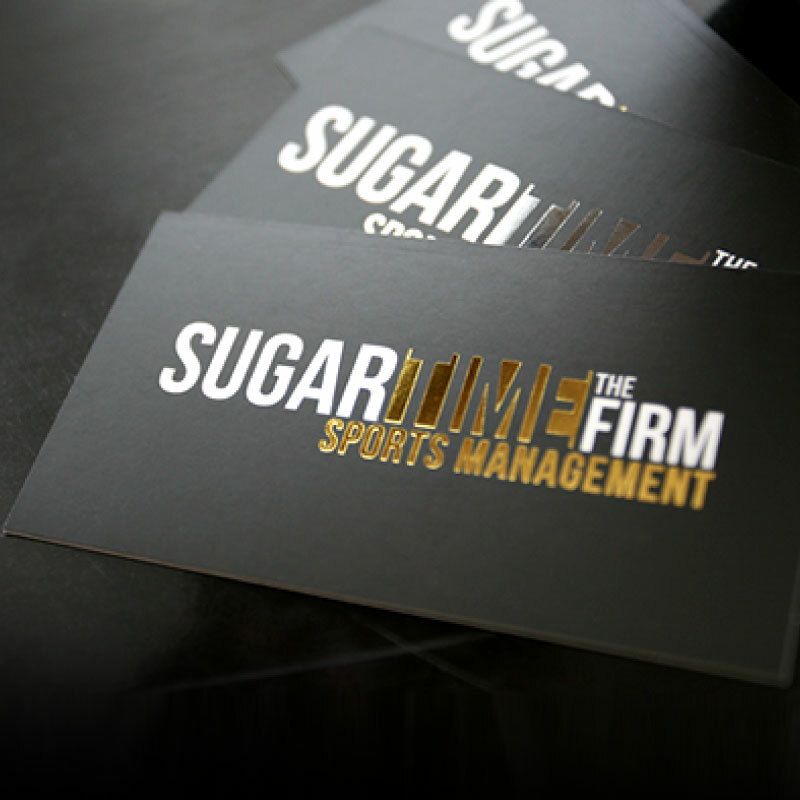 Our business cards with foil can make that a reality and are certain to make your branding pop! We print these foiled cards on a thick 420gsm stock, and finish them with a matt celloglaze that gives them an extra silky feel. We can do coloured foil on either 1 or 2 sides. 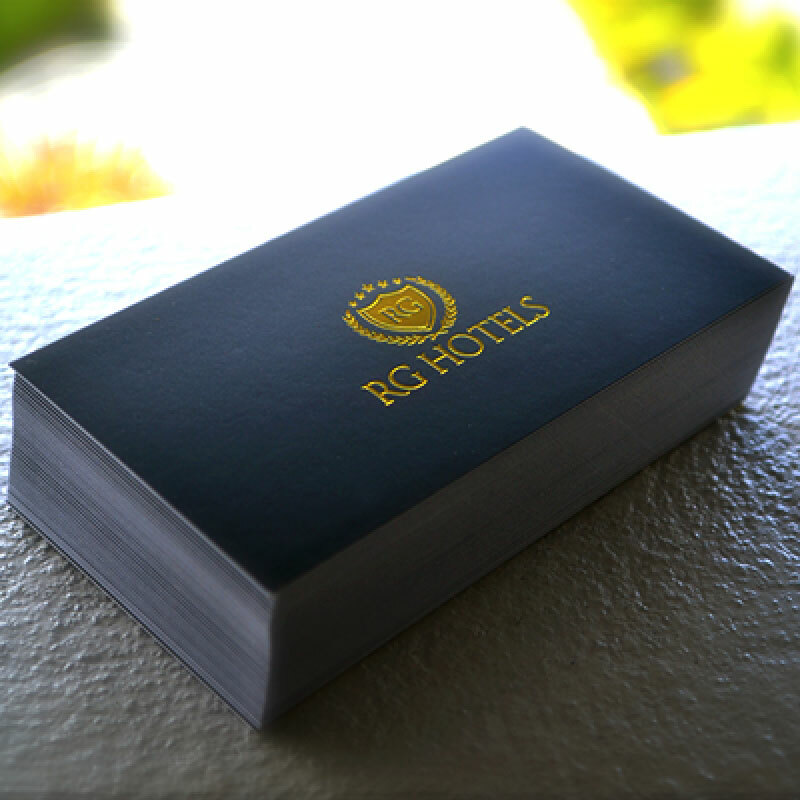 When printing a new design with foil, we need to setup a new foiling block to press the foil onto the business cards. If ordering for the first time please select new block. Once the block is setup we keep it here ready to go for your next order and there won’t be any setup fee for using it again. 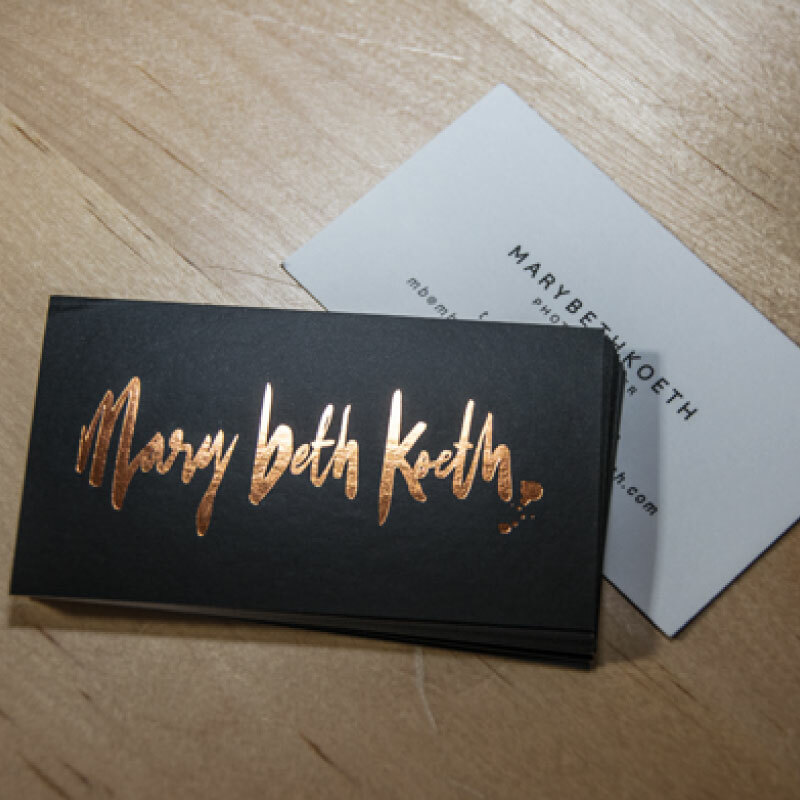 If you are looking for gold or silver foiling without having to setup a new foiling block, checkout our raised silver and gold foil business cards. They don’t incur any setup costs! Setup the second page of the pdf as the back, with just the print elements. If you are doing foil 2 sides, create a fourth page that only shows where the foil is to go on the back. Alternatively you can supply 2 x artwork files. The first would be just the front and back of the print artwork and the second file would only have the ares to apply foil to. Note that our design team will review all submitted files and create artwork proof that you will need to approve before we send to production.